SHARES of Boeing Co slid 9 percent in early trading on Monday as many airlines grounded the planemaker’s best selling 737 MAX 8 passenger jet following the second deadly crash involving the plane. The Civil Aviation Administration of China ordered Chinese airlines to ground all Boeing 737 MAX 8 planes after the crash. 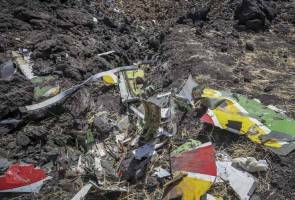 The CAA said it would contact the U.S. Federal Aviation Administration and Boeing regarding the resumption of operations once they are assured that measures have been taken to ensure safety. Older My Mother, My Woman!